There has been much speculation about the origin of the Cavalier King Charles Spaniel as we know it today. the Far East in the 13th century. black truffle-hunting dog was also part of the gene pool. 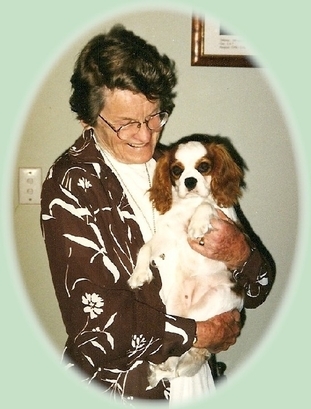 It is a fact, however, that the toy spaniel was refined and established as a breed in England, and there is no doubt that there were inclusions of sporting spaniel types in the bloodlines too. 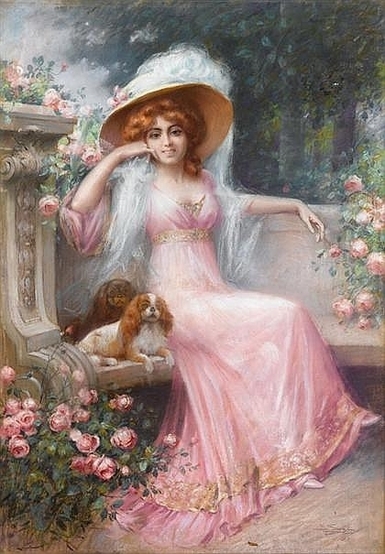 Whatever its origin, it is plain that the Cavalier is a descendant of the "Spaniel Gentle" companion dogs seen in so many pictures of the gentry from the 16th to the 19th century. 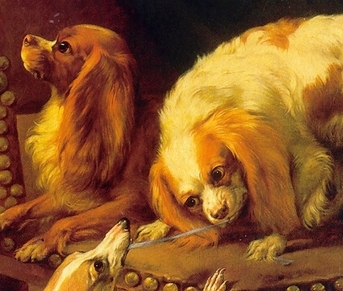 toy spaniel came to prominence in England. "suffered them to pup" in his own bedroom. The start of the demise of the original "nosey"
middle of the 19th century, due to interbreeding of the Toy Spaniel with the short-nosed Pug brought to England by King William of Orange. was established, the breeding of dogs became more regulated, and specific breed standards appeared. well into the first decade of the 20th century. and it would be sold as a pet. 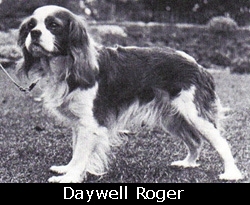 The reappearance of the original type of Toy Spaniel must be credited to Mr. Roswell Eldridge, an American who came to England to the Crufts dog show. He was very disappointed not to see any of the "nosey little spaniels he remembered from his boyhood". of the Old Type, as shown in the pictures of Charles' time, long face, no stop, flat skull not inclined to be domed, with a spot in the centre of skull". Cavalier King Charles Spaniel today. 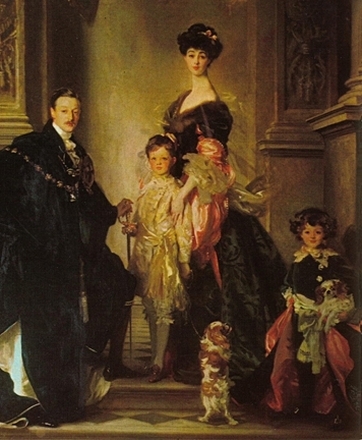 of Ann's Son and the dogs in the paintings. time, and attended this historic meeting. 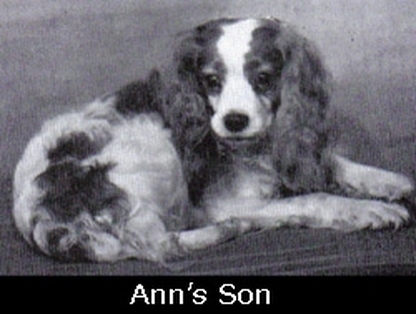 name of the old original breed. with the "Cavalier King" Charles II. registration forms to denote a dog with a longer muzzle.